Cape Breton Centre for Craft & Design will be hosting this exciting event again on Friday, June 15, 2018, from 6:30 pm – 9:00 pm. Tickets are $50, which includes a piece of pizza and ‘liquid art’. 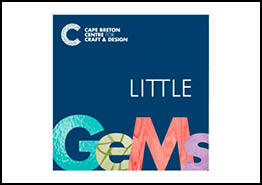 Get your tickets online at littlegems2018.eventbrite.ca, phone 902 539 7491 or drop into the Centre in-person.